Several Elections Canada webpages and personal websites from MPs don’t have the basic encryption necessary to stop your information from being hacked as it’s sent from point A to point B. Liberal Democratic Institutions Minister Karina Gould, Conservative Finance Critic Pierre Poilievre and the NDP’s Ruth Ellen Brosseau had this deficiency on the “contact me” form that asks for personal information — like your email, name and address — before sending feedback to your MP. Gould and other Liberal MPs updated their sites after queries from CBC News. Conservative Party spokesperson Cory Hann said the party’s websites all adhere to proper encryption standards, but the sites of individual MPs are not run by the party. “This is what you can really consider the minimum ‘security 101’ for your website,” said Aleksander Essex, a cyber security expert at Western University who specializes in democratic institutions. 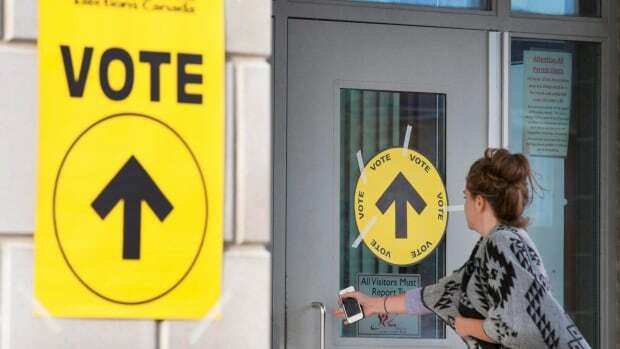 Elections Canada said they’re aware of the security gaps and are working to fix them. “We share the view that this is an important security measure. We are working on the final stages of implementing HTTPS on our site,” they said in an email. Basic HTTPS encryption isn’t just about protecting information flowing through the internet, Essex said. It’s about the user knowing their information will be kept confidential and giving people confidence they’re interacting with legitimate organizations. Without proper security, hackers are able to alter information on a website, including redirecting users to decoy pages. In the case of Elections Canada, Essex said these tactics could be used for voter suppression if information like where to vote is manipulated because the site isn’t protected. “I don’t see any technical reason that it would take as long as it has,” he said, adding a single web page can be converted into a HTTPS-safe site in a few minutes. Not every MP’s web page is a security risk. Many MPs are already using HTTPS and all of the parties’ primary websites are properly protected. Similarly, most of Elections Canada’s site uses a secure connection when it asks for your information. Despite steps to fix the problems, Essex said it should worry Canadians that many MPs and the country’s election agency are still operating at 1990s-level internet security. “They say ‘we would like to hear from you please sign up give us your email’ and they send it insecurely over the unencrypted connection. It is not sending the right message,” he said. It’s not a critical vulnerability, but that doesn’t mean it should be tolerated. It’s gotten so bad that Canada’s Chief Electoral Officer Stéphane Perrault has called them out for being the weak link in the chain.